Seminar – irrigation / effects, implications. Eastern Mt Lofty Ranges WAP submissions due. 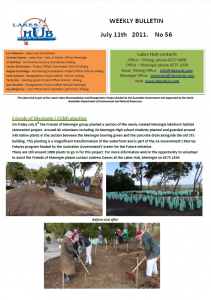 Recovery Plan for the Fleurieu Peninsula swamps.